Are you ready for some Autumn inspiration?! Look no further! How's this Autumn Wonder Inspiration Board to get you thinking of creating some warm and wonderful projects? After the business of summer, our Autumn Wonder kit will get you back in your creative space. It's full of rich golds, beautiful satins, textured wood and includes everything you'll need to create 6 beautiful cards, and then some! There's always a ton of product left over to use in other projects you create. If you don't make cards, no worries! 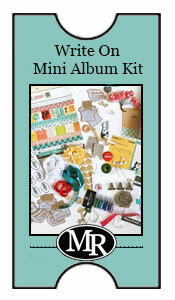 This kit can also be used to make mini albums, altered projects, tags or whatever you can dream up. Here's a small peek of some of the beautiful products included in Autumn Wonder. And just in case you like to see sneak peeks in video format, be sure to check out the video below. You'll see a few more of the amazing items in this kit. There's just one day left until release time! Mark your calendars and be sure to join us tomorrow for Autumn Wonder. That's Saturday August 22nd at 5pm EDT. Right here. With each card kit, Maya Road Kits releases and exclusive stamp set that goes with the kit. That means this stamp set cannot be purchased anywhere else! We think you're going to adore this one as the label sentiments stamp set is so flexible and gives a great look to your designs. stamp them in other colors of ink to change of the look. This stunning card by one of the kit designers uses a Kraft colored ink to match up with the beautiful Kraft envelopes included in this kit! The Autumn Wonder Kit release this Saturday August 22nd at 5:00 pm EDT. Can't wait that long? Our Kit Facebook Group gets early access a day before the release. Sign up to join our Facebook Group here for additional peeks, fun ideas and early access to each kit release! As we are just finishing up the last month of summer and squeezing out every beautiful moment it brings, our minds can't help but think ahead to Fall. For some it brings a return to schedules and school, new outfits, cooler days, pumpkins, harvest, Thanksgiving and a myriad of other things. Whether you love Fall or still clinging to Summer, remember that Autumn has a wonder of its own. One of the amazing things about the seasons is how each is so unique and beautiful. This kit celebrates the beauty and joys of Autumn. At Maya Road we are so excited to bring you this stunning new kit that will inspire you and bring you phenomenal value of paper crafting supplies. It's a beautiful mix of gorgeous patterns, amazing products that Maya Road is known for and some wonderful exclusives as well. 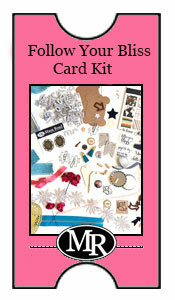 This sneak peek shows you just a small portion of the goodies included in this kit. Each kit has a corresponding on-line gallery of projects created with each kit by different designers to inspire you. This stunning card is just one of the designs you can create with the Autumn Wonder kit. Be inspired by our designers or take your own creative path and create anything you want. The possibilities are endless! The Autumn Wonder kit will be released Saturday August 22nd at 5:00 pm EDT. The release happens right here on the Maya Road Kits blog so be sure to stop back. We'll also be sharing more sneak peeks each day to give you an idea of what to expect on release day!